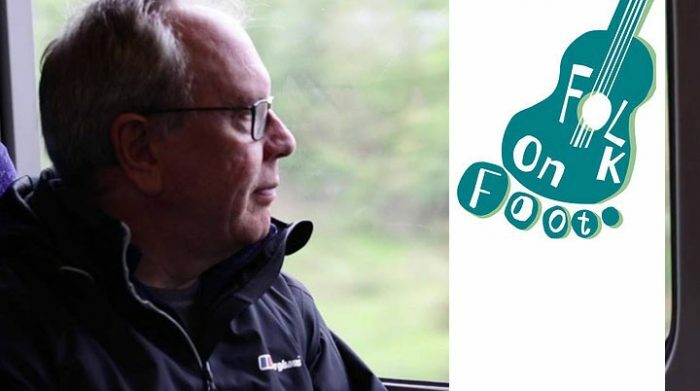 Folk on Foot will let listeners follow Matthew Bannister, one of the country’s leading broadcasters, walking alongside some of the genre’s foremost singer songwriters and musicians in scenic and intriguing locations around the country, from Scotland to the South Downs, Devon to Derry. They will be leaving their footprints on a wide variety of landscapes – from sandy beaches to downland ridge paths, windswept moors to the North Sea coast. Bannister currently presents Radio 4’s obituary programme Last Word and Outlook on the World Service. Previously he was Controller of Radio 1 in the 1990s. But few would have known that when wearing his Radio 1 hat, he harboured a lifelong passion for folk music and had appeared regularly as a teenage fiddle player in the folk clubs around Sheffield, where he went to school. Season 1, Launching on August 3, will feature English, Scottish and Irish performers – reading like a ‘Who’s Who of British folk’. 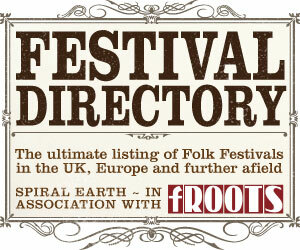 An added element will see the participating artists performing songs on location exclusively for Folk on Foot. The signature music is composed and performed by John McCusker. Kicking off the series The Young’uns (winners of Best Album at the 2018 BBC Radio 2 Folk Awards with Strangers) will take Matthew on a tour of County Durham’s Hartlepool Headland. Sean Cooney, Michael Hughes and David Eagle enthuse about their history and heritage-rich stomping ground which has inspired many of Cooney’s original songs. In the 50 minute programme they visit and sing in the late 12th century St Hilda’s Church, stop at the Heugh Gun Battery, which defended the town against heavy bombardment from German battle cruisers in WW1 and head to the Sandwell Gate – the only remaining gateway of the town walls, founded in the reign of King Edward II. For hundreds of years Hartlepool fisherman passed through the archway en route to the sea. Show of Hands frontman Steve Knightley walks with Matthew and his dogs on Devon’s Exe Trail between Exmouth and Topsham, a place that has triggered the inspiration for many of his songs including the moving The Dive inspired by an incident involving Devon fisherman Dave Kerley, who tells Matthew the tale while Steve performs an impromptu rendition of the song. Eliza Carthy MBE will walk with Matthew on the North Yorkshire coast, around the characterful Robin Hood’s Bay, where the Coast to Coast long distance footpath ends. The podcast will also hop across the Irish Sea where Matthew will met up with renowned Northern Irish songstress Cara Dillon to go walking in the countryside in her native County Derry. Multi award-winning Cara hails from Dungiven and has been described as possessing “quite possibly the world’s most beautiful female voice”. In addition to her constant touring and CD releases, Cara has won Tatler’s ‘Woman of the Year in Music’ and sung on the soundtrack of the Disney film Tinkerbell and the Great Fairy Rescue. On the South Downs, Matthew will meet a man described as “Britain’s most inventive folk singer” – traditional music exponent Sam Lee, for the episode “Singing with Nightingales in Sussex” whilst at the opposite end of the country he walks with Scottish singer songwriter Karine Polwart on Fala Moor in Midlothian. Karine was voted Folk Singer of the Year at the 2018 BBC Radio 2 Folk Awards and the moor near her home inspired her latest acclaimed album A Pocket of Wind Resístance and a theatre show. Says Matthew: “Folk music has such a sense of place which often gives it a deep rooted connection to the landscape. Folk performers are proud of their roots and heritage and enormously open-hearted when it comes to sharing their music.